Ron DeSantis, recently elected as Governor of Florida, tells Orthodox Union group he'll back school choice programs, increase school safety. Florida’s Governor-elect Ron DeSantis visited a Jewish day school on his first visit to south Florida since clinching the election. Santis and Lieutenant Governor-elect Jeanette Nuñez on Monday visited Brauser Maimonides Academy Jewish Day School in Fort Lauderdale. He discussed scholarship money, and funding for safety with school officials, the local CBS affiliate reported. “One of the concerns is, unfortunately, the need for school security particularly at these Jewish day schools, given recent events. I’m 100 percent supportive of continuing,” DeSantis said. 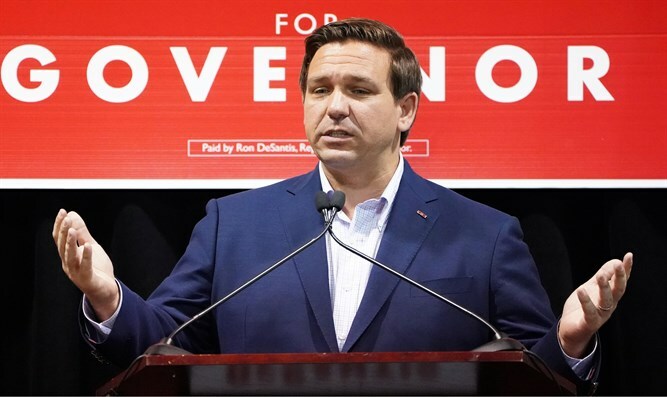 DeSantis said during the visit that he continues to support school choice programs, including tax credit scholarships that benefit more than 105,000 students in non-public schools around the state, of which 2,800 students are attending Jewish day schools.